Refresh Tears Plus Eye Drops for dry, irritated eyes. 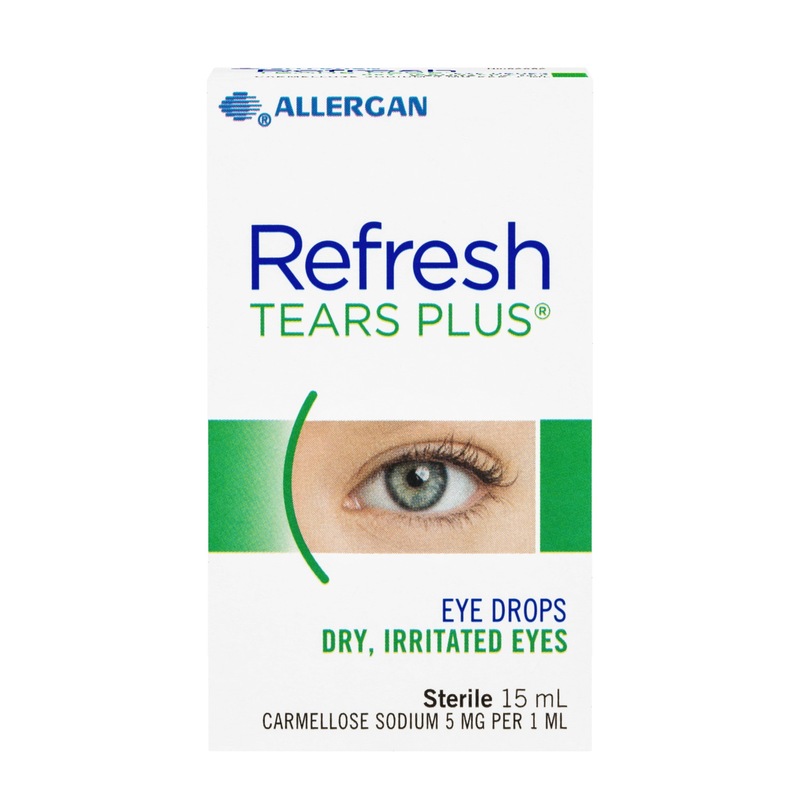 REFRESH TEARS PLUS® restores the moisture your eyes crave. It contains some of the same healthy qualities as natural tears. The advanced preservative technology, Purite, breaks down into components of natural tears when instilled in the eye. For the temporary relief of irritation and discomfort associated with dry eyes. Carmellose Sodium 5mg per 1mL. Contents are sterile if seal is intact. Discard unused contents 1 month after opening. Each mL contains: 5 mg Carmellose Sodium and 50 micrograms PURITE® (Preservative). Instil 1 or 2 drops into each eye as needed or as directed.